When in pain, don’t run to the medicine cabinet right away, especially if you’re someone who suffers from chronic pain, as taking painkillers frequently may be harmful to your health and may cause many side effects. On top of that, painkillers can be expensive. It can help decrease inflammation in the body. It can lower overall pain levels. In order to get the most of your exercises, it is necessary to include a combination of different types of exercises: strength, relaxation, stretching, and cardio. Try sticking to some of these 7 exercises and their different combinations for some time, and it is likely that the pain will decrease or even go away. Step 1. Lie down on your back, arms extended up, as if you were reaching for the sky. Step 2. Hike up your feet into the air, bending your knees in a 90 degree angle. Activate your core by drawing your belly button down in the direction of your spine. You can catch you feet with your arms to aid yourself. Step 3. When you exhale, extend one leg down without letting it touch the floor. Simultaneously, lower the opposite arm above your head. Hold for 1 second and then return to the starting position. Don’t forget to repeat on the other side. This will count as 1 rep. All in all, do 10 repetitions. Step 1. Kneel on all fours (your wrists directly under your shoulders and knees right under your hips). Step 2. Draw your shoulder blades close to your body and extend the neck. At the same time, engage the core like you did in the previous exercise as well. Step 3. Now extend one leg out like the woman on the picture, but keep your core engaged during the whole exercise. Step 4. Now lower the leg for just a second, and then lift again. No need to lift the leg too high, it’s better to stay mindful and protect your core and spine by engaging it. Repeat the exercise 10 times on both sides. Many people experience chronic pain because of tension building up in their muscles, especially those who have a sedentary lifestyle. 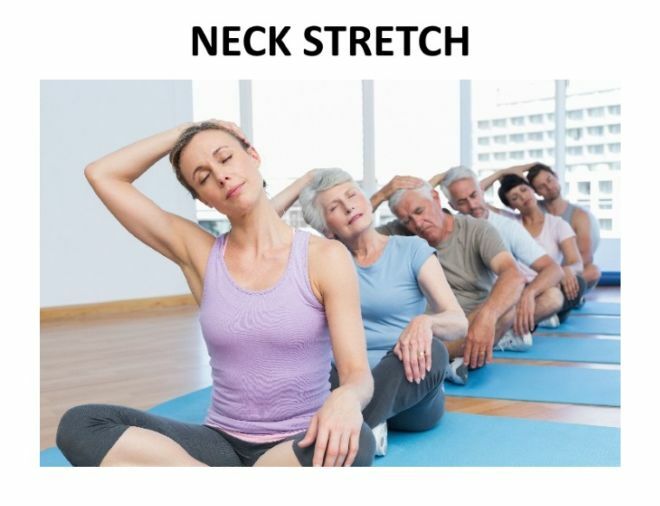 Stretches are a wonderful method of relieving tension in the stiff areas These stretches can help you relieve the pain in your lower back and neck, 2 of the most common areas to experience this kind of pain. Step 1. Lie on your back on a mat or on the floor. Step 2. Slowly bring your knees towards your chest, wrapping your hands around them as if you’re giving your knees a hug. Step 3. Rock side to side in this positions. 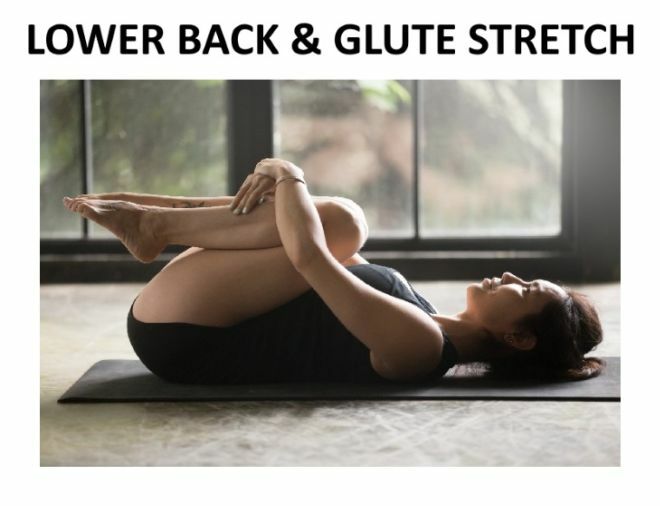 You should feel a stretch in your lower back and in your hips. Hold as long as you can. Step 1. Sit up with a straight spine in a comfortable position. Step 2. Raise one of your arms up straight, then bend it in the elbow and put your hand on the opposite ear. Step 3. Use your hand to gently and slowly pull down the head, which should make you feel a pleasant stretch on one side of the neck. Make sure not to lift the other shoulder, as it will counteract the stretch. Hold for a few minutes and repeat on the other side. Learning how to relax and breathe deeply and mindfully are essential for people with chronic pain, as it can help relieve the anxiety that comes with any pain. This is an easy exercise that doesn’t require any equipment.